Opposition to enbloc sales are growing louder in several communities. A few weeks ago, a letter writer to the Straits Times the government should tweak collective sale rules to prevent enbloc mania and to avoid dislocation in market. The writer suggested that the Government adopt the following measures to counter the enbloc mania. More owners should support selling en bloc before a collective sale committee is formed to kick-start the process. If the law requires that at least 80 per cent of owners must consent to sell en bloc, why should the process start on the back of only 25 per cent interest? Why not require 50 per cent or 60 per cent? And, why are voices against a sale not counted? If more than 20 per cent register disapproval at this stage, why even start the process? The meetings to start the collective sale process require a quorum of owners holding 30 per cent of share value, and just a simple majority to pass the resolution. This means that all it takes is about 17 per cent of share value holders to get the collective sale process going, thus effectively taking the development off the market. The collection of signatures currently extends to 12 months. If there was majority support for the move, is such a long period necessary? En bloc laws have been faulted for giving Majority owners the right to sell away their property without the signature of the Minority owners and force them to be a party to Collective Sales Agreement against their will. Other letter writers to the English daily have not only agreed with Gerke, but have also proposed tougher restrictions to protect minority owners from forced enbloc sale. 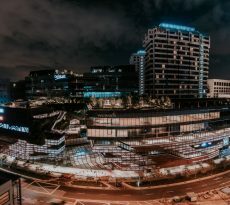 One such writer, Tan Cheng Siong, has suggested that “any alteration to common space ownership must obtain 100 per cent consent” before enbloc sales are allowed to proceed. Mr Tan is a veteran architect and a strong opponent of inconsiderate enbloc sales. 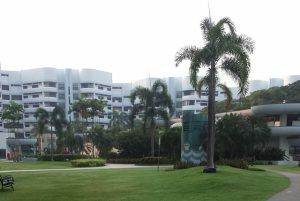 He had earlier expressed concerns about two properties he had designed in the 1970s – Pearl Bank Apartments in 1976 and Pandan Valley in 1978. Both properties have been in the news recently and face the prospect of being destroyed. 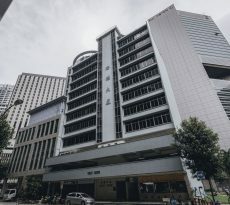 Pearl Bank Apartments, the landmark horse-shoe shaped building near Outram Park MRT station has since been sold to CapitaLand in a $728 million collective sale, and will be torn down for redevelopment. Pandan Valley on the other hand has started work to try and set up a collective sale committee in this month. Three years ago, Mr Tan tried to save the Pearl Bank Apartments before it went en bloc, by setting up a “voluntary conservation” project with his partner Daniel Law. The architect lamented that the project hit a snag because only 92 percent of owners consented to the redevelopment which would have given the building a new lease of life. 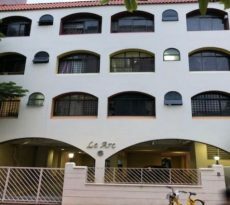 Under the en bloc law, the project would need 100 percent of owners to consent. “So you need 100 per cent consent to protect a building, but 80 per cent to strike it off the surface of the earth,” Mr Tan said. He added that if this gap in the en bloc law is not addressed, it will be unhealthy for future generations as they will see their properties not as homes but merely as “a market value to be realised or reaped very quickly”. Mr Tan noted that not all en bloc attempts are successful and that when they are not, it creates “so much friction, so much fracture among residents and communities”. “This is not quite appropriate especially if we want to encourage a sense of community, a sense of togetherness, and a sense of place in Singapore,” Mr Tan said. Another letter writer to the Straits Times, Francis Zhan, echoed Mr Tan. 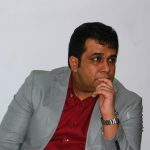 He acknowledged that enbloc sales are “necessary when owners of ageing buildings cannot afford the high cost of replacing damaged underground pipes and cables, upgrading lifts, repairing leaking roof membranes and inter-floor damage, and so on,” but that the objective of the new collective sales seem to be driven by greed. He proposed a tweak to the en bloc legislation to prohibit foreign and corporate owners from votes on collective sales, and that the “80 per cent majority rule should be applied only to Singaporean and PR owners”. The resistance to enbloc sales have grown louder in recent months, with the highly publicised en bloc attempts of Mandarin Gardens and Highgate condo. But some have dismissed such opposition as being the vocal minority. If you need expert help for financing the purchase of your home CONTACT US NOW.